Welcome to Mayhem Creations, home of Mariana Martin, Auckland’s top hand tied tutu designer! From tutu skirts for a first birthday party, a maternity tutu for a photo shoot or a child’s tutu dress as a Christmas present, we’re here to help! Only available for purchase through our online tutu shop, all our tutu skirts and dresses are of an exceptional quality and perfect for birthday parties, dress-ups and flower girls, or as a gift for a special party princess. Every girl at some stage dreams of being a princess. Or a fairy. Or a ballerina. Help bring her dreams to reality by giving her a hand tied children’s tutu from Mayhem Creations! We’re based in Auckland and provide free delivery of our gorgeous tutu dresses, skirts and accessories offer free delivery to non-rural addresses New Zealand wide. Our online tutu store has a large variety of predesigned tutu colour combinations, but we also custom make tutus upon request for no extra charge. 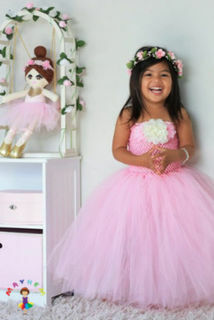 If you have an upcoming wedding and need a tutu skirt for your flower girl in just the right colour, we can help. Or if your little princess has a favourite colour combination, we can use it to create a special unique tutu just for her! Take a browse through our tutu photo gallery to see examples of tutus we have created and get inspired for your next tutu skirt or dress. 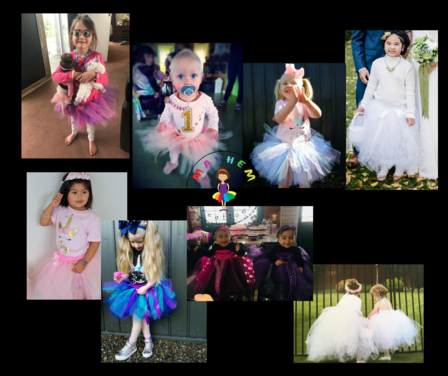 With matching accessories including jewellery, cake tutus, hair accessories, table tutus and tutu dress ups, we really are NZ’s favourite tutu designers! 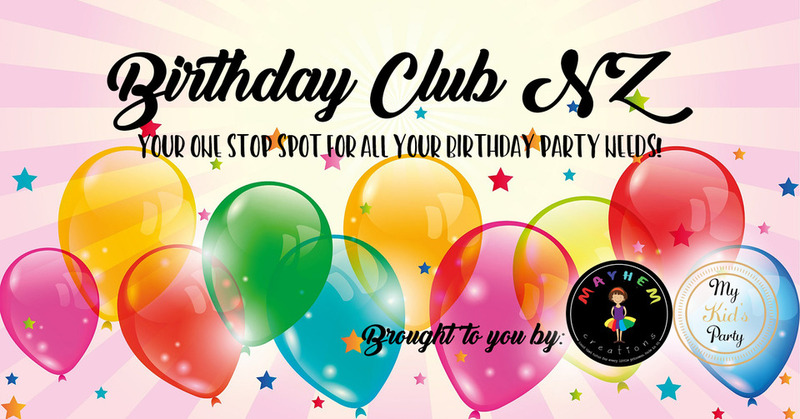 Come and join our birthday club! Our club has been set up for Kiwi parents who are planning and organising birthday parties. We hope to share ideas and inspiration to help you out with your next party extravaganza. We also have a monthy prize pack where you will find some great goodies from some cool NZ Businesses. We really appreciate getting your photos back of girls wearing our tutus. Each month we pick one lucky person to receive a voucher. Click here to get in touch with us if you would like to share your photos. "I love the little dolls tutu I received from Mayhem Creations! The tutu is gorgeous, communication great and delivery was fast. Thanks so much!" "Great communication, fast made and delivery. Very friendly and loved the final product, colours are vibrant and it looks exactly like what is pictured, can’t wait to give to my niece at Christmas time." "I just ordered a beautiful pink tutu as a gift for a friends 5 year old daughter. It is perfect, even better than it looks in the photos. The tutu arrived very quickly after ordering. Would highly recommend these tutus and I will be buying again." "The quality tutus and service from this lady is amazing! We had a misunderstanding on the tutu dress and she done up a whole new one for me within a couple days and let me trade. Thanks again Marian for My girls princess tutu dress and for giving me exactly what I wanted. I cant wait to see her in it ð I couldnt recommend you enough ð thank you!"